The rapid proliferation of food establishments almost everywhere has heightened competition between and among entrepreneurs who wrestle for the loyalty of their customers, particularly when the banner product is similar. For Ariel ‘Aying’ Viñas, his innovative ideas and relentless drive for a high quality product have resulted in a steady stream of customers that has catapulted his pastillas (milk candy) business toward success. 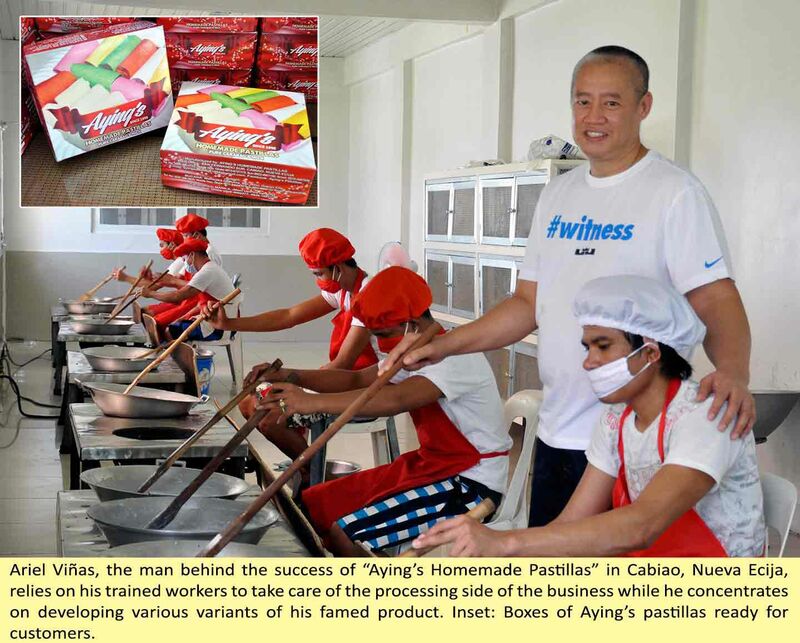 His brainchild, Aying’s Homemade Pastillas, is a thriving business in Cabiao, Nueva Ecija, a first-class municipality some 72 kilometers from Manila known for its creamy pastillas products that come in colorful wrappers. Its popularity among customers extends beyond the town and reaches even as far as Metro Manila. Fifteen years since its inception, Aying’s Homemade Pastillas has carved its own name in the pastillas industry despite the emergence of other milk candy brands and its proximity to San Miguel, Bulacan, where the traditional pastillas originated. Aying’s Homemade Pastillas began as a one-man operation, tracing its roots to a few packs of pastillas de leche sold alongside chicharon (pork rind) in a rectangular display rack in Cabiao, Nueva Ecija. In a way, the milk candies comprised one-half of what was then called “Aying’s Homemade Chicharon and Pastillas”. “I went into business in 1995 with eight bottles of native carabao’s milk I bought from farmers,” Mang Aying recalled. He had very little capital to start with, but had lots of determination to survive and succeed. “I was scared because I had very little capital yet I had to conquer my fears because I knew I had nowhere else to go if I failed,” he said. At that time, his family was recovering from a bankruptcy that led his wife to seek for work overseas. Drawing from his 11-year experience as a processor employed in another pastillas business, he processed the milk using borrowed stove and cauldron. He converted a small storehouse along the Cabanatuan-Gapan road to serve as his product outlet. “My first concern was how to make the passersby take notice and buy my products. Since I was also selling chicharon, I used it as the main attraction. I let customers choose the chicharon they wanted and gave away pastillas for free, whether the customers wanted it or not,” Mang Aying remembered fondly. To draw more customers to his stall, he placed big signages in conspicuous areas bearing the name of his business. Moreover, to set his brand apart from the others, he used the word “homemade” to define his products instead of the word “especial”, which was the commonly used name. His ingenious efforts paid off as word started to circulate and customers gradually learned about his products. Mang Aying eventually dropped the pork rind products and focused on processing pastillas. The business steadily grew, reaching a stage where the demand became too much for a one-man team to handle. His wife, Nancy, decided to leave her job abroad and assist him in running the enterprise. Each year saw an addition of display racks filled with pastillas, a testament to the unstoppable growth of the business. Today, Aying’s Homemade Pastillas has two thriving outlets: the main store in Cabiao, where Mang Aying’s family resides, and another in Gapan City, Nueva Ecija which is being run by his wife, Nancy. From the very beginning, Mang Aying has been a passionate, strategic innovator. His out-of-the-box approaches from production to marketing made Aying’s Homemade Pastillas stand out from other brands. “When I decided to start my own pastillas business, I wanted to make something distinctly Aying’s. I improved the recipe I learned from my former employer and created my own version of the existing flavors,” Mang Aying shared. The three initial flavors of pastillas de leche, ube and yema grew to eight distinct tastes. “The wrappers of the pastillas correspond to their flavors. I can say that I started this trend because back then, pastillas were packed in plastics only,” he related. Mang Aying constantly dabbles with recipes to develop new pastillas-based products for his clients. “Each time I see food products when I go out with my family, I always think of how I can incorporate those items with pastillas. I would do some experiments until I eventually develop a new recipe,” he said. For one, he developed his own version of frappe, an idea he got when his kids brought him to a famous coffee establishment. He also created a variation of the ever-popular Filipino dessert halo-halo, one that has pastillas as additional ingredient. He has even come up with lumpia (spring rolls) wrapped in fried pastillas. Soon, Mang Aying will offer dessert pizza filled with pastillas. He is also currently exploring the possibility of baking bread with pastillas as filling. “I have no prior experience with baking but I am determined to try it. I’ll probably use several bags of flour before I will be able to master it,” Mang Aying confessed with his characteristic eagerness to learn and discover something new. 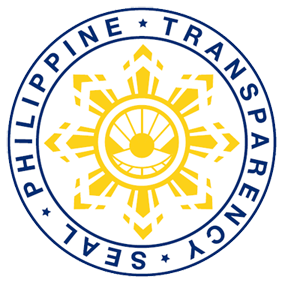 Meanwhile, he recognizes that stiff competition among established and new pastillas-makers is inevitable, especially with the increasing volume of milk being produced by local dairy farmers in the Nueva Ecija province. The keys to survival, he said, are creative productive development and the courage to be different. The success of Aying’s Homemade Pastillas has meant more than the material wealth it has brought to Mang Aying’s family. It is an affirmation of his victories over the challenges that he had to weather as he cooked his pastillas to perfection. As he takes a trip down memory lane to his life before his romance with pastillas began, he can’t help but get emotional. “I couldn’t even afford to bring my sick son to the hospital because I literally had no money. Nobody trusted me enough to lend me money. That’s how poor I was then,” he said, getting teary-eyed. Now, the business has given him the security he has always wanted for his family. It allowed his children to acquire quality education from reputable schools and finish a course of their choosing, something that he and his wife have always aspired. Aside from his family, he credits his former employer as his other source of motivation and inspiration for the business. “For 12 years, I saw how his business grew and attained success. He was like me; he did not finish his education and was also poor. Now, he has sent several children to school and has helped other people in countless ways,” Mang Aying shared. Drawing from his own experiences, he encourages those who want to start their own businesses to believe in their capability and pursue their dreams. “Most of the businesses started small. A person must first recognize his/her potential and believe that he/she can start even with a small capital. Others made it and so can you so long as you use whatever talent you have,” Mang Aying said.